By Will Jarvis . Published on July 30, 2017. Why It Won: The agency's ethos is in its name: DCX Growth Accelerator grows brands. It balances top-dollar strategic consulting with advertising clients, and the focus is always on brand building -- whether revitalizing a Fortune 500 company or developing a startup's brand. The Work: To market Elmhurst, a new brand of nut milk, the shop created a hipster squirrel -- think Brooklyn-wine-bar hip -- to be the product's spokesperson (er, spokessquirrel). 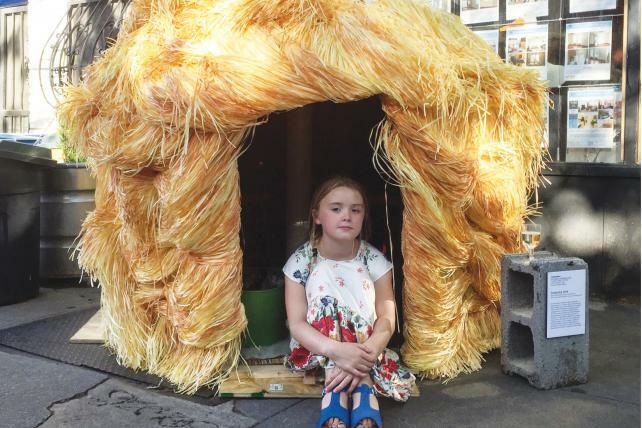 The group also created "Trump Hut" last July, a tiki-like cavern covered with hula skirts that resembled blond hair. The artwork debuted in Brooklyn, N.Y., at "Gut Rehab," a realty-themed art show, and was meant to draw attention to how gentrification and housing displacement affects low-income communities.